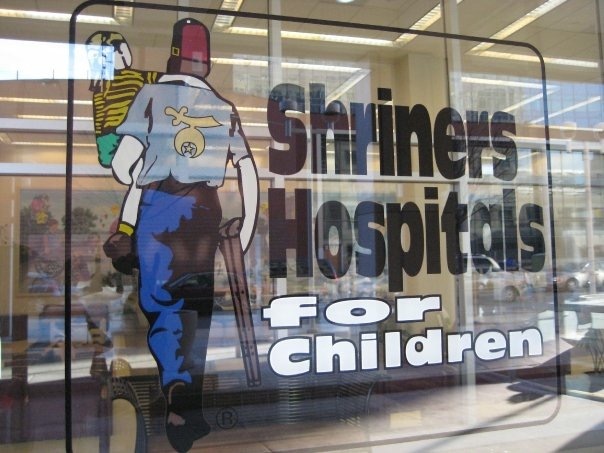 Shriners is doing great things with each dollar! Forever indebted. Donna was an old friend of mine, a high school buddy. She was hilarious, and from the little glimmers I get of her today, she hasn’t lost her sense of humor. Now Mom to two young boys, I imagine her home to be full of laughter. I’ve come to learn Donna also has a serious side. Following Michael’s injury, Donna showed up for me in a most memorable way. She was sweet, thoughtful, empathic, and connected, although across the country! In Donna’s tips she was so generous, providing insight into her own uncertainty and regret. As Moms, uncertainty and regret maybe be things we all universally have in common; however, far too rarely speak of. Donna, “Have patience with a child with a learning disability. It can be very frustrating trying to understand why they cannot grasp something you consider so simple. They can’t, and it’s not their fault. Before even sitting down to help them with their homework, mentally prepare for it. Breathe and tell yourself, you are not going to get upset. You are going to help with homework, not do it. Promise it will be a positive experience for both of you.” Tip #1. Disability was a concept I did not have to contend with for the majority of my parenting. For me, disability wasn’t a consideration until 16 years in. Regardless if the disability is physical, cognitive, or otherwise, I think Donna’s wisdom still applies. When’s parenting a child with a disability, understanding does not come immediate and intuition is not so reliable. When disability arrives it is front and centre, as in our case! We knew nothing about quadriplegia, and never even considered how important the spinal cord really was! With no prior knowledge, and believing we knew best, at times we expected too much from Michael. We urged, “Try harder!” We thought we were doing the right thing, we didn’t know better. It took a long time for us to get educated, on even the basics. We then had to learn how Michael was handling the injury. Then, how we, as parents, were handling his injury. A lot to learn! In hindsight, we now know, Michael was trying his hardest. He didn’t need us urging him. Urging him was counterproductive! On occasion, I’m sure, hurtful. With disability, sometimes it is hard to know where to push, and where to back up. We needed experts. Myself, I had a love/hate relationship with them. It wasn’t easy! Now I realize, relying on the experts, combined with our own knowledge of our child, should be guiding forces. Believing the ‘Mother/Father knows best’ theory, when dealing with disability is naïve, and frankly it’s arrogant. I was there. Big Mike and I were both there. Parents should seek help! We really don’t know what we don’t know, even when we’re sure we know! The most well-meaning parents can cause setbacks and sadness, if they do not get educated on the specifics. Seek help. I’m honored Donna would share these pieces of her past with me, with us. Next week, Bernice on Post-it.